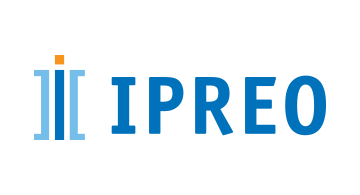 Ipreo powers the networks that connect capital to ideas. We are a leading global provider of financial services technology, data and analytics, supporting all participants in the capital-raising process, including banks, public and private companies, institutional and individual investors, as well as research, asset management, and wealth management firms. Our unique, cross-asset class solutions equip our clients with the information and tools they need for more effective decision-making and a more efficient workflow. Ipreo has nearly 2,000 people serving clients in every major financial hub around the world. Ipreo released a game-changing deal execution and ongoing reporting platform called Prism with goal of working with companies throughout the lifecycle of their business and providing value to them at every stage. At the core of this revolutionary technology the platform delivers a faster, more streamlined way to securely share sensitive information with key stakesholders in your business all from a single portal. We built this financial software because there was a real need for a differentiated product like this in the market. Ipreo in a unique position to be the company to provide this solution because of our footprint in the industry and the valuable insight that was provided from the thousands of dealmakers we service every day – every bulge bracket and mid-market Investment Bank, more than 70% of the fortune 500 companies, and over 350 General Partners.